Multiple Knicks are drawing interest ahead of the Feb. 7 trade deadline. 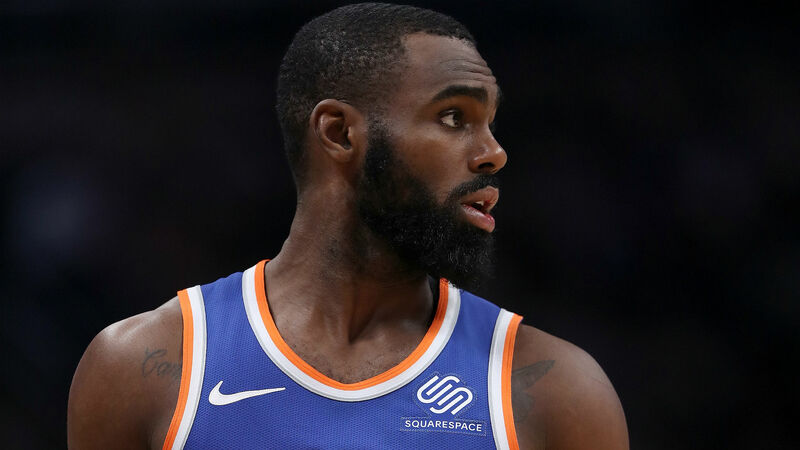 Teams have inquired about dealing for New York guards Tim Hardaway Jr. and Courtney Lee, according to a report from The Athletic, which cites unidentified team sources. The Knicks, however, do not want to attach an asset in order to move either player, the report says. Hardaway Jr. is averaging 19.6 points and 2.7 assists in 32.6 minutes per game for the lowly Knicks this season. He’s shooting 39.3 percent from the field and 35.2 percent from 3-point range. The 26-year-old signed a four-year, $71 million contract with New York in July 2017. He holds a player option for the final season of the deal. Meanwhile, Lee has appeared in just 10 games after struggling with injuries earlier this season. He can guard multiple positions and has knocked down 38.9 percent of his 3-pointers over his 11-year career. The Knicks have been one of the worst teams in the NBA in 2018-19 and will enter their matchup against the Rockets on Wednesday with a 10-35 record.